Two students from the University of Maine at Presque Isle were selected to participate in the 5th annual Maine NEW (National Education for Women) Leadership Summer Institute, held from June 1-6 at the University of Maine in Orono. Elise Gudde and Kassidy Morin represented UMPI at the statewide institute. The Maine NEW Leadership Summer Institute is a six-day residential leadership training program that includes students from various college majors and institutions across the state. The program was developed to address the under-representation of women in politics and give young leaders the tools to become effective political and civic leaders. 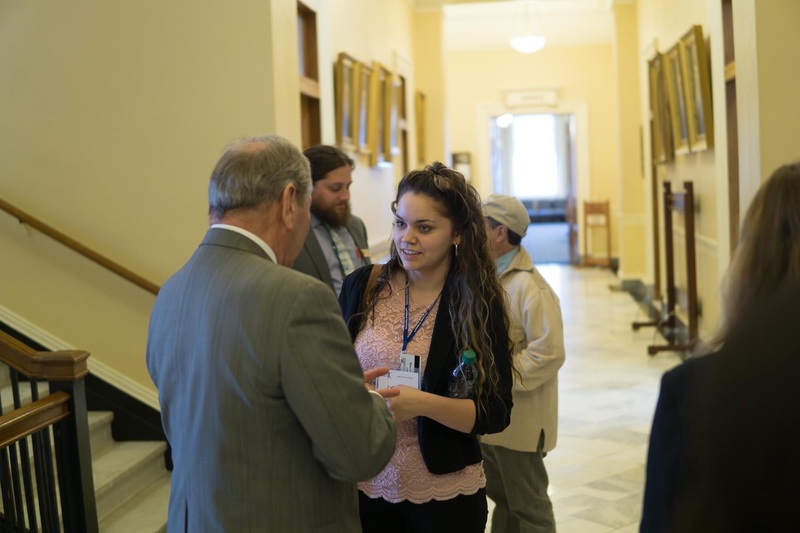 During the program, students visited with women legislators and policy advocates and attended leadership workshops and presentations from politically active women in Maine. Faculty-in-residence, women who are public leaders, served as mentors to the students. Gudde is a sophomore at UMPI with a double-major in environmental science and psychology and has already taken up many leadership roles on campus and in her community. She is a member of UMPI’s Varsity Cross Country Team and was named to the North Atlantic Conference All Sportsmanship Team and the USCAA National All-Academic Team. She is also the secretary of UMPI’s Track and Field Club, a member of the Maine Catholic Youth Leadership Team, and a recent volunteer for TAMC’s Youth Ski Program. Gudde believed that participating in NEW would give her a foundation for advocacy in her future career. Although she is unsure of where her career will take her, she said she would like to work in education and environmental science. She hoped to gain a better understanding of the decision making process regarding environmental issues and policymaking and learn new leadership skills such as public speaking. “I want to learn how to take my leadership potential and use it to become a true leader for my generation and make a difference in my community,” Gudde said. Morin, a junior majoring in social work, also applied to the NEW program to gain greater skills in public speaking, advocacy and networking. After graduating from UMPI and earning her master’s degree in social work, Morin hopes to pursue a career as a hospital social worker and First Nations advocate in the Canadian school system. 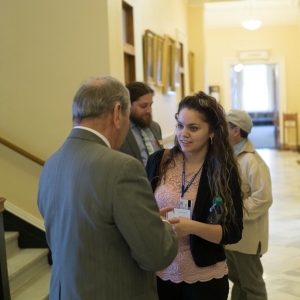 The Maine NEW Leadership Institute seeks to bring together students of diverse backgrounds and academic majors and provide opportunities to engage in political and civic leadership. For more information, visit the program’s website at https://mcspolicycenter.umaine.edu/for-students/maine-new-leadership/.